Windows Eye Control is finally set up for release via Windows Update starting October 17, 2017. To learn more about the eye tracking features, please check out this blog post. This is the first implementation of Eye Control in Windows and it's aimed at providing a basic user interface for users with limited motoric skills, who cannot utilize a keyboard and mouse effectively and instead partially rely on eye tracking as a primary input of using a computer. Tobii Dynavox offers a range of assistive eye tracking devices and advanced accessibility software powered by eye tracking. Most of these devices are also compatible with Eye Control in Windows, but please have in mind that Eye Control is a basic accessibility tool and is not as advanced as other accessibility software such as Windows Control by Dynavox. If you already own a Tobii Dynavox eye tracker or would like to obtain one, please visit https://www.tobiidynavox.com/en-US/landing-pages/td_and_microsoft/ for more information. Tobii's consumer eye trackers from Tobii Tech (such as the gaming peripheral Tobii Eye Tracker 4C and gaming devices like Alienware 17 and Acer Predator with Tobii Eye Tracking integrated) are also compatible with Eye Control in Windows. To set up one of Tobii's gaming eye trackers together with Eye Control in Windows, please follow the getting started guide below. Please have in mind that Windows Eye Control only supports US keyboard layouts. For more information and how to get started with Windows Eye Control, please also check https://support.microsoft.com/en-gb/help/4043921/windows-10-get-started-eye-control. 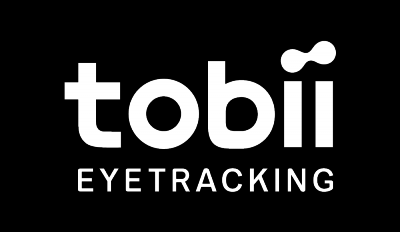 Make sure you have installed the latest version of Tobii Eye Tracking (2.10.20 or later) from tobiigaming.com/getstarted. You can check your current version if you press the Tobii icon in the system tray - Settings - About. Configure and calibrate your eye tracker. Install the latest Windows Fall Creators Update, version 1709 OS build 16299.15 or later. The update is officially released October 17, 2017, but please have in mind you might not receive the update on the day of release in Windows Update. If there are no updates available in Windows Update, please check online or wait for the update. See more here: https://support.microsoft.com/en-us/help/4028685/windows-10-get-the-fall-creators-update. Once you have received and installed the update, you can find Eye Control in Windows Settings - Ease of Access - Other options. To enable, toggle it on. Before you use Eye Control for the first time, please restart your PC. Q: How do I know which version of Windows I’m using? A: Press Win + R and type winver, then press Enter. You should have Version 1709, OS build 16299.15 or later. Q: I’ve found a bug relating to these features, where do I file a bug report? A: Please contact Microsoft Disability Answer Desk. Q: My eye tracking is not working properly on a second screen attached to my computer, why? A: The current features enabled are designed for single screen, single eye tracker scenarios. We’ll add support for multi-screen scenarios in the future. Q: Eye tracking is not accurate for me, the mouse cursor has an offset, why? A: Everyone's eyes are unique and therefore there might be a natural offset. Have in mind though that eye tracking is not pixel accurate and can't be because of how the human eye works. We usually say the accuracy is about the size of a thumbnail. One way to improve accuracy, however, can be to make sure that the eye tracker is centered on the bottom of your screen frame, re-do display setup and make sure the lines on top of the eye tracker are aligned to the ones in the setup window, also improve your calibration for both light and dark environments. Ran into issues setting it up? Do you have the required Windows update or later, but Eye Control isn't showing up or it's just not working? Please check out this troubleshooting article. Please note that we will only provide support in regards to our eye trackers. For help with Windows Eye Control, please contact Microsoft.